Friedrich Wilhelm Nietzsche was born on 15th of October, 1844 and having contributed a verse, as Walt Whitman would say, left this world after an arduous but rich life on 25th of August, 1900. In the span of 55 years that he lived, he produced enlightening, path-breaking work which changed the course of human thoughts. He was admired, revered and even hated as a philosopher for his unorthodox ideas, his unconventional view on Christianity, his never-heard-before commitment to Individual will, which was a sharp turn from the Christian view of keeping individual interest subservient to the larger social goods. He gave us the idea of an all-powerful, unyielding, unapologetic Overman which awaits man on the other side of the abyss. His eminence in philosophy is well-established and his influence, undisputed, but his literary presence and impact is also grand and glorious. Nietzsche shares with Yeats believe in the natural aristocracy of men, (when he claims- Men are not equal), and believes in the possibility of men who have the courage to rejoice in the face of tragic knowledge. Beyond a point, literature and philosophy merges. Like two rivulets playfully stepping down from the mountains, unsure of their path and their destiny- arrogant and audacious, eventually merging and settling down into the immense expanse of ocean- into a peaceful universality, twin rivers of Literature and philosophy flows down from the solitary heights of human sensitivity. In Nietzsche, one finds an extraordinary amalgamation of a brave and sharp intellect, responding to the world around with the sensitive perception of a poet. We look here Nietzsche as a poet and a literary figure and what we can we learn from Nietzsche as writers. 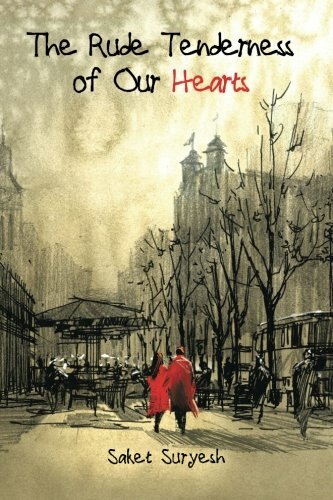 Thomas Mann, to my mind, corroborates this amalgamation of Literature with Philosophy, this coming together of two forces of nature which define our world when he searches the equivalence and equanimity of the soul between an extraordinary Litterateur and a pioneering philosopher and writes – “Nietzsche and (Oscar) Wilde- they become together as rebels, rebel into the name of beauty”. It is not for nothing that Nietzsche is sometimes considered as a worthy inheritor of the philosophical legacy of William Blake and Walt Whitman in his rejection of duality and the celebration of individuality and self. It is on account of literary strength of his philosophical work that many later day writers like Knut Hamsun, Rainer Maria Rilke, Ayn Rand and Jack London who accepted the Literary greatness of Nietzsche when he wrote “I am in the opposite intellectual camp from that of Nietzsche yet no man in my own camp stirs me as does Nietzsche”. 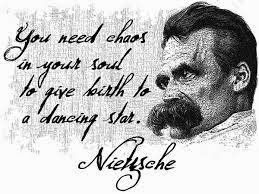 We however, look here not at Nietzsche as a philosopher, rather Nietzsche as a writer and the lessons he left for writers of the day. In fact, the great appeal of Nietzsche lies in the perfect balance he finds between his relentless search for truth, his willingness to challenge the old wisdom and the beauty of his language. His literary style offers his thoughts the wings to carry them to the skies from where they may be visible to the most skeptic of the mind. TS Eliot goes to the extent of saying- “Nietzsche is one of the writers whose philosophy evaporates when detached from its literary quantity.” Literature, fiction or not, is a search of truth as well as an attempt to share with the world an attempt to share with the world the truth painfully gotten. No wonder, an iconoclast worshiper of truth found great love among writers of the world with Bernard Shaw admitting that in Nietzsche he recognized a peculiar sense of world akin to his own and who was celebrated by WH Auden when he wrote, “O masterly debunker of our liberal fallacies”. His writings carried many lessons for writers. Write with a Purpose: Nietzsche argued that one should write with a purpose. To him writing was a search of Truth. It was not a matter grandiose eloquence; it was a painful wandering into the dark alleys of life. His wrote, “Of all that is written, I love only what a person hath written with his blood. Write with blood and thou wilt find that blood is spirit.” Look for a higher reason, a bigger message than the story. The story, the poem is a vehicle for the idea. Don’t look at the market when you write. Nietzsche says, “Whoever knows the reader with henceforth do nothing for the reader. Another century of readers- and the spirit itself will stink.” Find your sacred message, your voice and build your world around it- your poetry, your stories, your novels are exquisite clothes for an exquisite thought. Don’t fall for an easy path. Have something to tell before you decide on how to tell it. Do not blabber and confuse the Reader: Writing is the search for truth, an attempt to empathize, an opportunity to be kinder. It is not to threaten the reader, to overwhelm him with your intellect. A writer must not be too conscious of himself. Nietzsche perforce, owing to his poor eyesight wrote in short sentences, in aphorisms. He advises not to make your writing too ornamental or wordy, if you write poetic prose, it should be to ensure that the feeling is made vivid on the dead pages. Talk to your reader as you would talk to your friend, for the purpose of sharing and empathizing. Have courage to speak the truth. He say, “Courage that puts ghosts to flight creates goblins for itself: courage wants to laugh.” Writers are the bravest of the souls, for they rise above their time. “Brave, unconcerned, mocking, violent- thus wisdom wants us: she is a woman and always loves only a warrior”- He beckons the writer. Write With Your Heart: Do not attempt to write what you think people want to read. Write what you know of, write what you feel. Open yourself to the humility of nakedness of the soul. Dig deep into yourself and put forth what you find in the darkest, most unvisited corners of your mind and heart for the world to sea. He writes in Thus Spake Zaruthustra, “I became weary of the poets, of the old and of the new: superficial they are unto me, and shallow seas.” Enjoy your writing. Sing through your sufferings. One must write in one’s unique voice. Stay Interesting: Truth is harsh and often colorless. We need style to render it acceptable. The lyrical prose, the sharpness of description, or one true sentence of Hemingway- is what makes the truth acceptable, even amusing to the people. Write in proverbs and aphorisms; learn from the Hunchback and madman of Nietzsche. That is the purpose of art- to make the truth bearable. Nietzsche writes - The champions of truth are hardest to find, not when it is dangerous to tell it, but rather when it is boring. Reach out to the world which is ready for you. Good writing is never for mass-market, it slowly grows on the reader as we search for our life’s answers in it. Be discerning in the choice of your audience. Nietzsche advises, “Whoever writes in blood and aphorisms does not want to be read but to be learned by heart…Aphorisms should be peaks- and those who are addressed, tall and lofty." It is very hard to find a teacher as competent and as honest as Nietzsche who practiced what he preached. He wrote with great flamboyance, which a characteristic voice, and told a great truth, the individualism, the will to power, the idea of Overman. He was a man in a hurry, he was bursting with ideas, had great courage in his grieving frame to be able to bring it out. It is not for nothing he said about himself, as some kind of premonition “I know my fate. One day my name will be associated with the memory of something tremendous — a crisis without equal on earth, the most profound collision of conscience, a decision that was conjured up against everything that had been believed, demanded, hallowed so far. I am no man, I am dynamite.” I cannot agree more. This is my tribute to one of the greatest philosopher and bravest writer on his death anniversary on 25th of August.